The Bible should be read not as a single book but as a library that is filled with 'eternity and truth,' writes the Rev. Talbot Davis. As one of my friends reminded me, I preached a lot last week. Three times on one Sunday, followed by four nighttime sermons at the Pleasant Grove Camp Meeting, followed by three times again the next Sunday. That is actually more times than anyone should ever be allowed to hear the sound of his or her voice in a given week. But I did it. And before each of those 10 sermons, I gave some version of our Good Shepherd United Methodist Church mantra: The Bible is not a book; it's a library, a collection of books. We believe it's a library unlike any other library on earth in that its words are God-breathed and therefore filled with eternity and truth. So: I heard myself say that a lot. But in the aftermath of my preach-a-palooza, I caught my breath and began thinking of some of the benefits of reading the Bible as a library and not as a book. 1. You don’t read it consecutively. No one would ever go to the public library, find the first book in the Dewey Decimal System and read through every book there from the 000s to the 900s. That’s absurd even to contemplate. Yet that’s exactly what we do with the Bible: open it to Genesis and figure we’re going to read all the way through Revelation. Most folks are done by Leviticus. Such usage is completely alien to the Bible’s composition and arrangement. 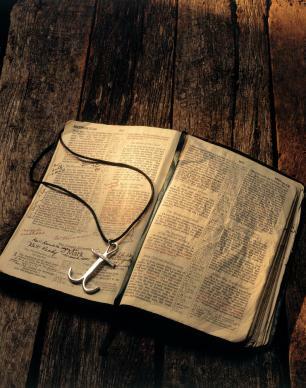 Remember: The books in Scripture were written at least 1,500 years before the printing press was even invented, so the idea that they would be collected between two leather covers was inconceivable to the authors. 2. You don't have to read it literally or symbolically. You read it literarily. In the public library, you read the books in the auto mechanics section differently than you do books in the poetry section. You read biographies differently than you read novels. You adjust your interpretation and understanding of those books according to the type of writing they represent. The books in the Bible are no different. When you understand types of literature, for example, you realize that Genesis 1 is making no claims at measurable science; it is instead making glorious claims about immeasurable theology, and doing so in the form of a hymn. Turn to I Kings, however, and you're getting something else: Israel's sordid, scandalous history, with all the warts exposed. And who knows? In the elusive books of Job and Jonah, do we have the Bible’s section of novellas? 3. Figuring out literary types within Scripture is why it helps to read in community. And by “in community,” I don’t mean solely with in church small groups, though that is definitely the place to start. By “community” I also mean the collected wisdom of the centuries as men and women have first studied the texts and then written commentaries on them. If you feel you have an insight into a passage that no one else has ever had before, it’s probably because your interpretation has been considered previously and regarded as off the mark. Our biblical community has both continuity and congruency. 4. Each book has its own authority. When you understand that Scripture is a library, you are freed from the burden of harmonizing books that don't have much harmony. You can allow each text to breathe its own truth. The book of Proverbs, for example, contains some very different messages than the book of Ecclesiastes. Don’t force agreement into a place where debate was likely intended. In the same way, the Gospel of John is dramatically different in style and chronology than Matthew, Mark and Luke; you rob John of its purpose and power when you try to make it fit neatly within the framework of the other three. Let John be John … and give him the authority to tell Jesus' story in his unique manner. 5. Speaking of Matthew, Mark, Luke and John, the Bible’s biography section only has one subject: Jesus. In this case, Scripture is the opposite of a public library. In the library’s biography section, there are volumes on all kinds of people, from the famous to the infamous. The Bible has four books in its biography section, but only one subject: the One we know, appropriately enough, as the Word. Davis is pastor of Good Shepherd United Methodist Church in Charlotte, N.C.